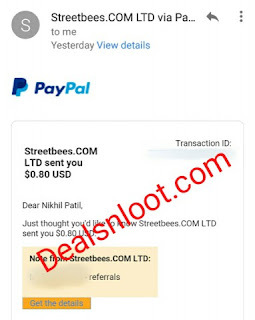 Hello Dealsnloot Readers, we are again back with an awesome offer in which you get paypal money by completing Simple tasks which you / your family member do in daily life. Streetbees is the app that pays you cash on the fly. Download the app and get connected with paid tasks from the brands you use every day. Take a photo of your kitchen cupboard, tell us how you choose your afternoon snacks, or check the price of a chocolate bar in your local grocer. That’s it! Send your answers and earn cash instantly while shaping the future of your favourite products and places.Yes you heard it right complete task and upload video and you get paid around 5 dollars paypal for completing a task.So what are you waiting for just start and get paid a lot of money.So Hurry !!! Grab This Loot Paypal Cash. Note :- Do not upload any fake pic from Internet else they will reject your submission and you will not get any payment.There is no minimum redeem, your redemption request will process Automatically in 48 hrs. Note : You can’t find your total earnings on app, to know it use the contact option in the my profile tab. They will reply soon about your earnings. If You Don't Have Account Paypal Then Send Your Bank Details On This Mail Id. With Your Request. 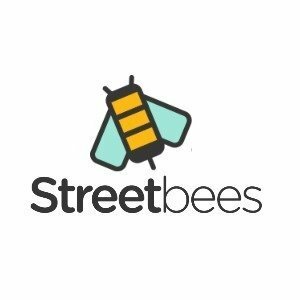 StreetBees Email Address : queenbee@streetbees.com . Free Recharge : You can also redeem for Free Recharge. Yes, just add your mobile number in profile section and remove the paypal email and save the profile. Then you will automatically get your earnings in the form of free mobile recharge on your primary mobile number.